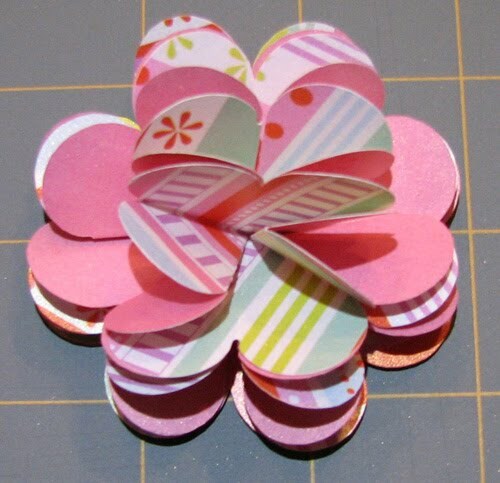 I came up with this design while trying to replicate Martha Stewart's water lily from her Occasions collection. 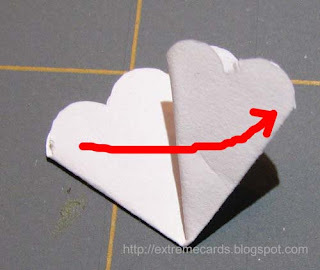 It's not exactly the same, but it has the same feel. To make the pink flower I used an eight-petal flower from Juzudama, a dingbat font. 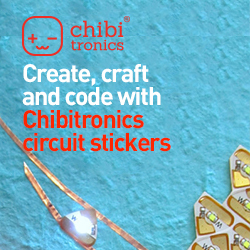 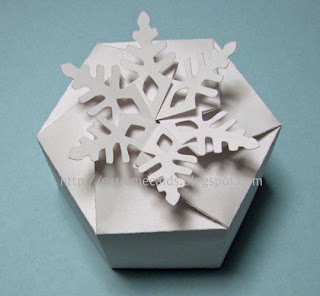 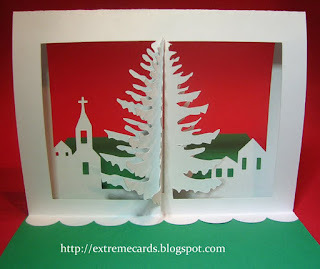 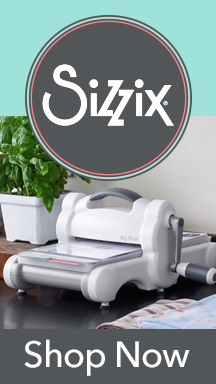 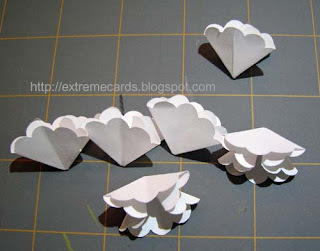 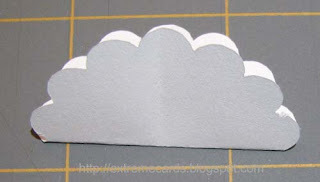 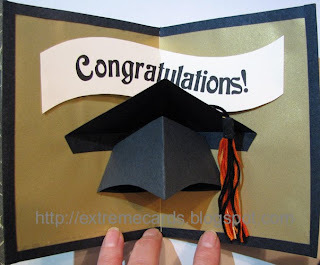 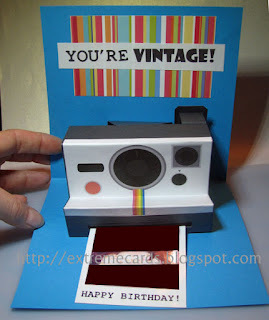 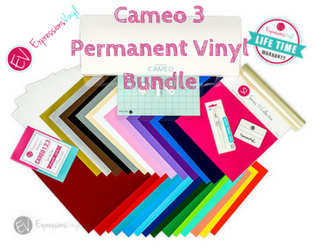 To make the white one use Stampin' Up's scallop circle punch or an SVG file that mimics it. You can download the SVG from The Homegrown Art. The dimension of the individual flower is the finished size of your flower. 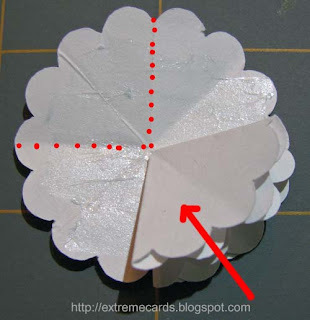 You can have any number of scallops around the circle, it doesn't matter. 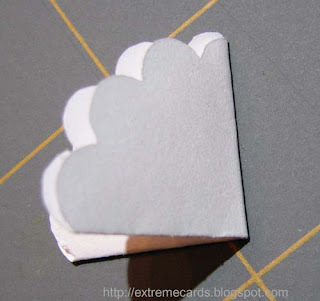 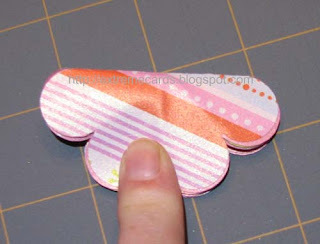 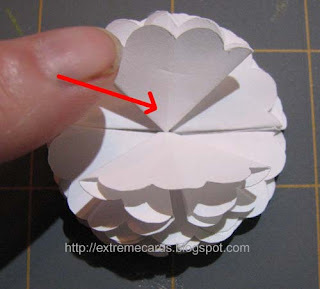 Cut out 7 scalloped flowers by hand or use any scallop circle punch, like this one from Stampin' Up or this one from McGill. 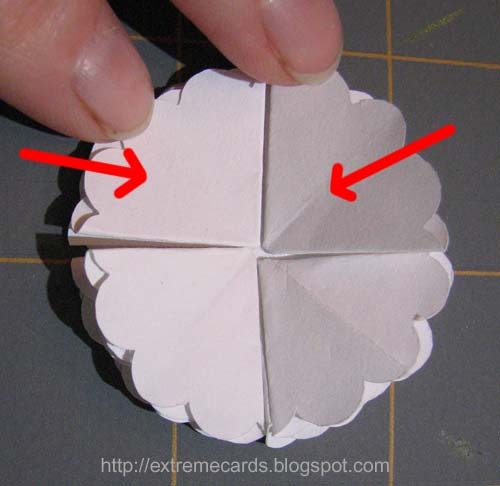 Fold each flower in half, then in half again. 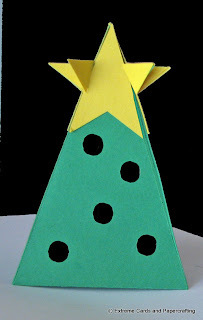 Set one aside. Now you will fold the remaining six flowers into a waterbomb base. Fold the flower into eighths, but not by folding the entire thing in half again, it's too thick. 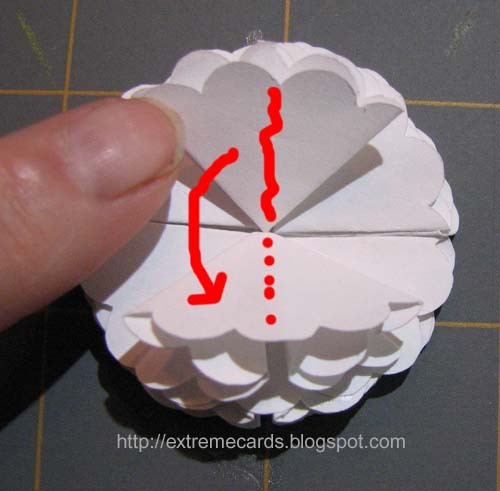 Fold one loose layer back on itself, then flip the flower over and fold the other loose layer back on itself. 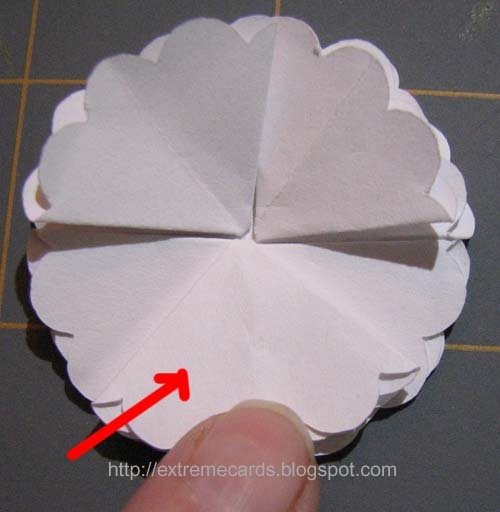 Unfold the creases of the circle until it's folded in half. 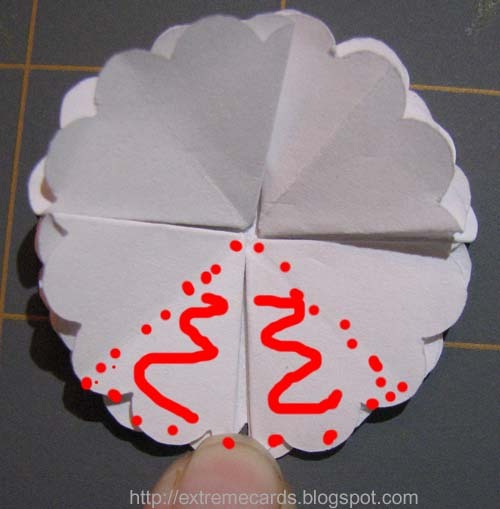 Holding the center point of the flower, push in and reverse fold the two sides. 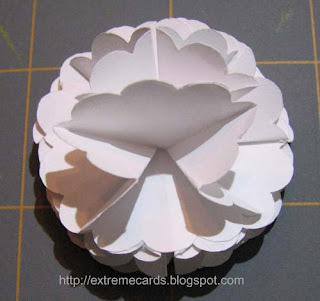 Glue 4 folded flowers to the base. Match centers and the edges of the folded flowers to the folds of the base flower. 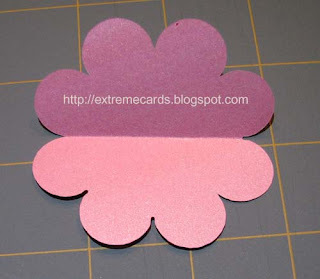 Pick any two adjacent flowers from the four you just glued. Glue the fifth flower on top of these two, matching the center of the fifth flower to the edges where the bottom two flowers meet. 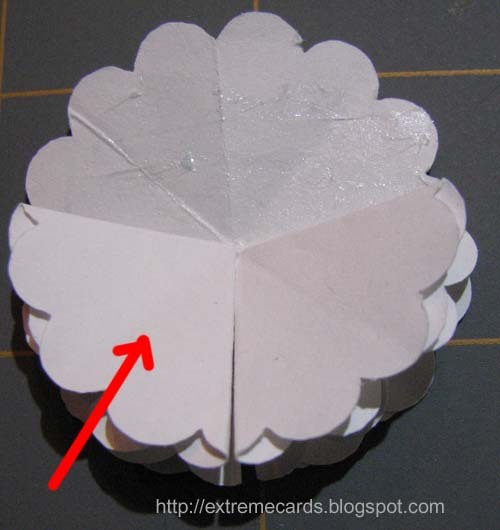 The sixth flower is glued directly across from the fifth flower, point to point. Line its center line up with the edges where the flowers underneath it meet. Pull the fifth and sixth flowers toward each other at the center of the flower, and glue them just along their center lines. Fluff the petal and you're done. 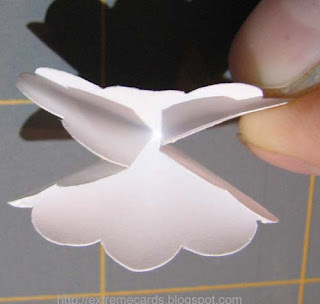 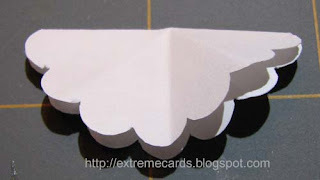 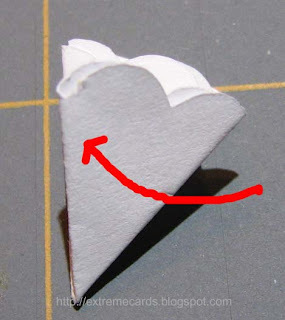 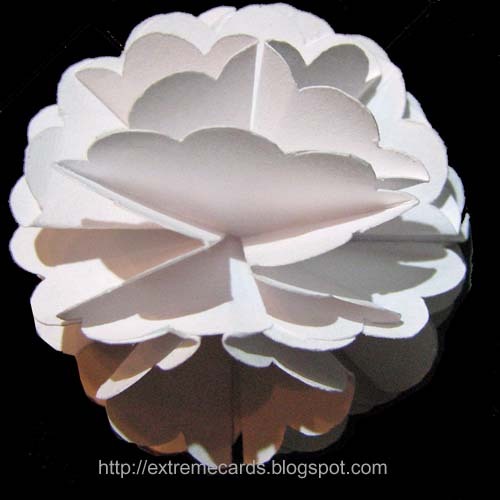 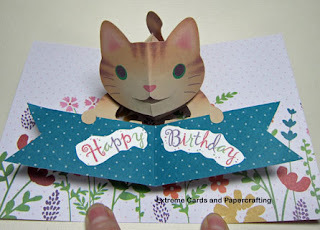 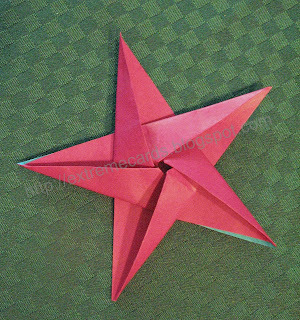 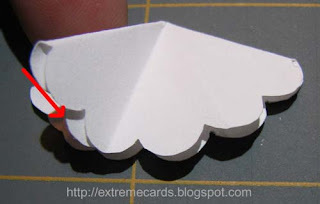 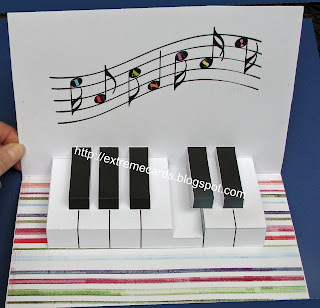 As a bonus, you can fold this flower flat, so it would work in a pop up card!